Does anyone recognize this location? 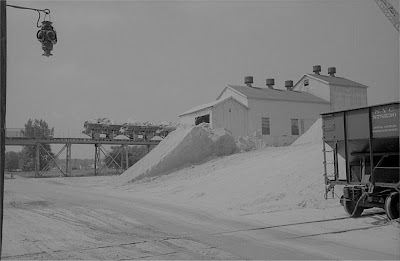 It appears to be a gypsum mine of some sort. The elevated railroad may provide a clue. The photo is from the 1940's. Does anyone recognize this early television program? The "Go Lucky!" backdrop is assumed to be a reference to Lucky Strike cigarettes, the sponsor of the show. A close-up of the female panelist may aid in identifying the program. 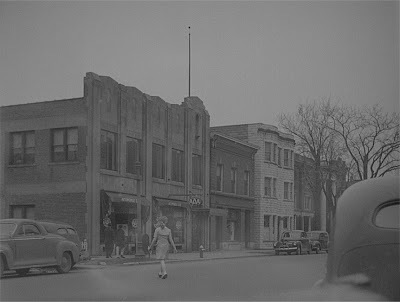 The photos are from the late 1940's or early 1950's. 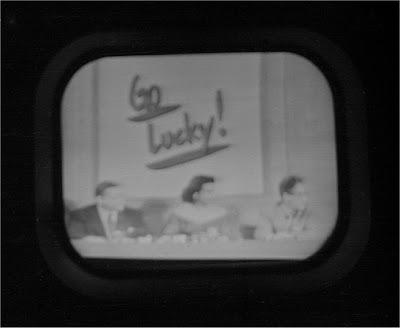 Thanks to Anonymous for identifying the television program as the Go Lucky! quiz show. Jan Murray hosted the show, which was sponsored by Lucky cigarettes. Go Lucky! debuted on CBS in July of 1951 and was cancelled shortly thereafter. 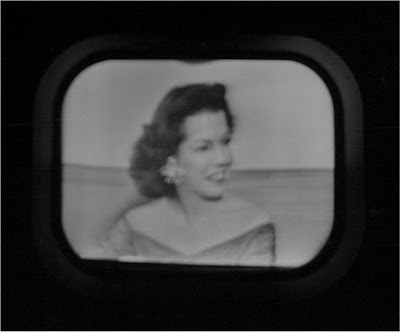 As early television shows were broadcast live and not saved, these may very well be the only photos of the show. A different Anonymous identifies the female panelist as Ethel Merman. Does anyone recognize this location? It appears to be Main Street in Smalltown, USA. The interesting facade of the AAA Office may provide a clue. The photo is from the 1940's.